As a pre-emptive strike to keep the GI Preakness S. from being moved from its historic Baltimore home, civic leaders filed a Mar. 19 lawsuit against the owners of Pimlico Race Course that petitions for “condemnation” of the track, which is the legal term for the taking of property by eminent domain. Is this a valid legal argument? 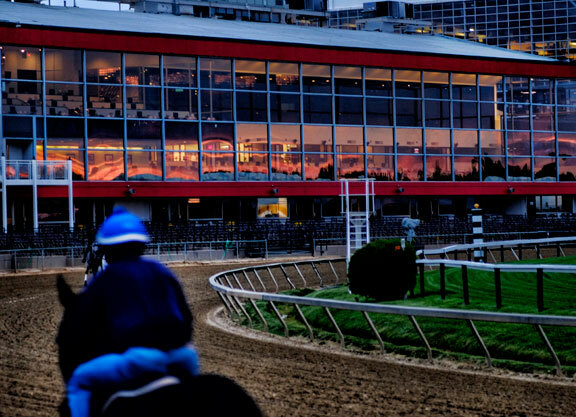 Can the city really lay claim to the naming rights and brand of the second jewel of the Triple Crown even though it is a federally registered trademark that belongs to the Maryland Jockey Club (MJC)? 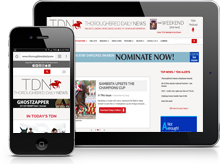 The answer is yes, according to two Washington, D.C., attorneys who specialize in trademark law–although both experts told TDN that the complexities of the case will make it challenging for the city to prove its point. In separate phone interviews, both trademark lawyers pointed to sports-related cases involving the 1982 relocation of the NFL’s Oakland Raiders to Los Angeles and the 1984 move of the Baltimore Colts to Indianapolis that could be relevant in the Preakness suit. The question of jurisdiction could have been different, Kondoudis said, if co-defendant The Stronach Group (TSG), which owns the MJC, had instead been listed as the trademark’s owner, because TSG’s principal place of business is in Canada–well outside the jurisdiction of the Baltimore court. TSG could try to retroactively amend the trademark ownership or even try to get the venue of the court changed, but either way, jurisdiction “is certainly going to be something that will be litigated, I can tell you that,” Kondoudis said. “This is gong to get highly contentious, and to be honest with you, most judges don’t like these types of cases because they don’t like infringing on private property,” Kondoudis said. “It generally offends our notions of fair play. But [eminent domain] is authorized, and it does happen, and this is a definite risk. And so Pimlico and [TSG]’s legal team need to take it seriously, because it does look as if [based on] where that trademark is said to be owned and located, their trademark could be attached to the case. And that’s bad news. Because even if they didn’t have to run any more races at the track, the only one that matters is the Preakness. That’s the essence of branding. A race by any other name is not the Preakness. And what would be a viable defense for TSG and MJC? In general, Kondoudis explained, eminent domain seizures are problematic for defendants, regardless of whether they involve physical or intellectual property. “When there’s a valid taking through eminent domain, the private party’s hands are pretty much tied. All they can do is fight about the amount they receive for it,” Kondoudis said. “And so what is the [defendants’] last line of defense? They need to come up with a number, and justify a monetary amount.